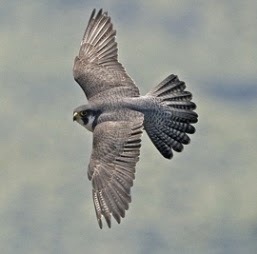 Between early May and mid-July, Shenandoah National Park Natural Resources staff, working in partnership with the Center for Conservation Biology at the College of William and Mary, the Virginia Department of Game and Inland Fisheries, and the Virginia Department of Transportation, has successfully restored nine peregrine falcons in the park. The “foster” peregrine chicks used for this program came from coastal bridge nests in Virginia where juvenile peregrine survival has been low due to premature fledging over open water. Additionally, a current pair of nesting peregrines which includes an adult male fostered in the park in 2008 has successfully fledged three young in the park this year. The restoration process, called “hacking”, at Shenandoah consists of taking at-risk falcon chicks from nest sites in eastern Virginia, and bringing them to the park where they are placed in protective wooden boxes (hack boxes) for approximately 14 days. The hackbox is typically placed on a high cliff ledge that mimics a natural peregrine falcon nest. The boxes are constructed so that the young birds can view and acclimate to their environment as they mature, but are protected from predators such as raccoons. While they are in the boxes, park staff provides for their care and feeding, and monitors their condition, all the while minimizing contact with humans. When the falcons are ready for flight, the boxes are opened and the falcons are allowed to leave. They will continue to be fed and monitored at the hacksite as they learn to hunt for themselves. The young fledglings will often mimic their brood mates as they refine their flight and hunting skills. Generally, the falcons remain in the local area for several weeks. By late-July they begin to take extended "practice" flights of over 200 miles. By mid-August, they leave the area by wandering into other states and eventually migrating south or east as fall approaches. It is hoped that the birds will imprint on Shenandoah's prominent cliffs and return as breeding adults in 2-3 years. The goal of this project is to boost peregrine falcon numbers in the Central Appalachians where peregrine recovery has been slow. This restoration work directly supports the conservation and long-term recovery efforts of state-threatened peregrine falcons in the park and throughout the Central Appalachians. As a result of the park’s ongoing restoration efforts, the park has supported a single nesting pair from 1994-1997, 2005-2007, and 2009-2014 (comprised of three different pairs). During this time, these pairs have seen a 62% breeding success rate. The park's current nesting peregrine pair fledged three young in late June. The pair represents one of only two reproductive peregrine pairs in the mountains of Virginia. The adult male peregrine from this pair was restored in Shenandoah in 2008 on Hawksbill Mountain. The higher peaks and cliffs of Shenandoah represent some of the best places to observe these amazing/rare birds of prey in the mountains of Virginia. For additional information about the peregrine falcon, please click here. ~3300 BCE: In 1991 two German tourists found the mummified remains of “Otzi, the Iceman” at roughly 10,530 feet in the Ötztal Alps along the Austrian–Italian border. Although scientists aren’t sure what this 5000-year-old man was doing at that high elevation, there are some that believe that Otzi may have been one of the first hikers or mountaineers. 125: The 2nd century Roman Emperor, Hadrian, hiked to the summit of Mt. Etna on Sicily to see the sunrise. 1778: Thomas West, an English priest, published A Guide to the Lakes, a detailed account of the scenery and landscape of the Lake District in northwestern England. The guide helped to popularize the idea of walking for pleasure and “to encourage the taste of visiting the lakes by furnishing the traveler with a Guide”. 1786: The beginning of modern mountaineering is marked by the first ascent of 15,771-foot Mont Blanc, the tallest peak in the Alps. 1799: Williams College (of Massachusetts) President Ebenezer Fitch and two others climb Mt. Greylock. 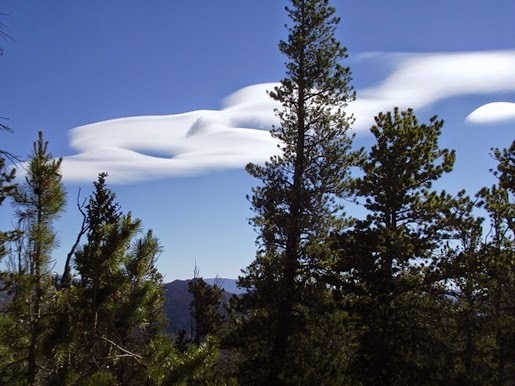 1819: Abel Crawford, and his son Ethan, blaze an 8.5-mile trail to the summit of Mt. Washington in New Hampshire. This path is the oldest continually used hiking trail in the United States. 1830: A crew of 100 students and professors from Williams College blaze the Hopper Trail to the summit of Mt. Greylock. Later that same year students would build a wooden tower atop the same mountain. The tower was maintained into the 1850s, and was used for sightseeing and scientific observations. 1854: The beginning of the systematic sport of modern mountaineering as we essentially know it today is marked by the ascent of the Wetterhorn in the Swiss Alps by Sir Alfred Wills. His book, Wanderings Among the High Alps, published two years later, helped make mountaineering fashionable in Britain, and ushered in the systematic exploration of the Alps by British mountaineers These events also marked the beginning of the so-called “golden age of alpinism”. 1857: The world's first mountaineering club, the Alpine Club, was founded in London. 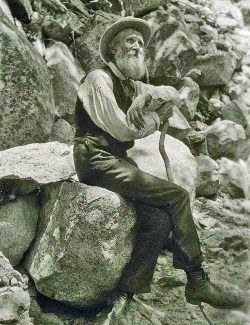 1867: John Muir begins a 1000-mile walk from Indiana to Florida, which he recounts in his book, A Thousand-Mile Walk to the Gulf. The trek launched a lifetime career of hiking and wilderness advocacy. His conservation efforts, books and articles would help to establish several national parks during and after his lifetime. 1872: Yellowstone becomes the world’s first national park after legislation is signed by President U.S. Grant. 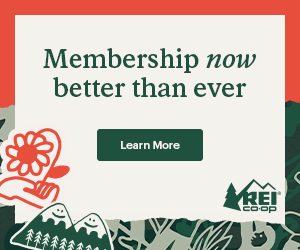 1876: The Appalachian Mountain Club, America’s oldest recreational organization, was founded to explore and protect the trails and mountains in the northeastern United States. 1876: Newtown, England entrepreneur Pryce Pryce-Jones designs the "Euklisia Rug", considered by many to be the forerunner of the modern sleeping bag. The rug included a wool blanket with a pocket at the top for a sewn-in, inflatable, rubber pillow. Once inside, the camper (or soldier) folded the blanket over and fastened it together, thus keeping themselves “snug in a rug”. 1879: One of the first hiking clubs in England, the 'Sunday Tramps', was founded by Leslie White. These early “rambling” (English for walking) clubs sprang up in the northern areas of England as part of a campaign for the legal "right to roam", a response to the fact that much of the land in England was privately owned. 1922: Lloyd F. Nelson submits his application to the U.S. Patent Office for his "Trapper Nelson's Indian Pack Board", which is acknowledged to be the first external-frame backpack. The "Trapper Nelson" featured a wooden "pack board" as its frame. On the frame was a canvas sack that contained the hiker's gear, which rested on the hiker's body by two canvas shoulder-straps. Prior to his invention hikers used a rucksack, which was essentially a loose sack with shoulder straps. 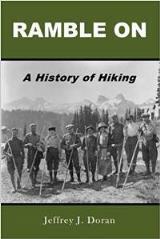 1930: The Green Mountain Club completes construction of the Long Trail, making it the first long-distance hiking trail in the United States. 1937: America's first “grand” trail, the Appalachian Trail, was completed in August of 1937. A forester by the name of Benton MacKaye conceived the idea in 1921. 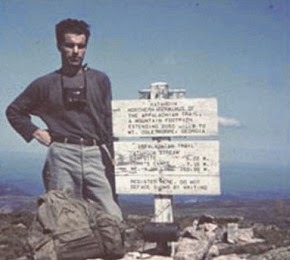 1948: Earl Shaffer becomes the first person to thru-hike the entire Appalachian Trail. 1967: Climber Greg Lowe invents the internal frame backpack. The “Expedition Pack” also featured the first adjustable back system, first side compressors, first sternum strap and the first load stabilizers. 1969: Bob Gore accidentally stretches a solid polytetrafluoroethylene tape by almost 800%, which forms a microporous structure that was roughly 70% air. The discovery was introduced to the public under the trademark of "Gore-Tex", which became the first breathable, waterproof, and windproof fabric. 1992: Ray Jardine introduces the concept of ultralight backpacking with the release of his book, The Pacific Crest Trail Hiker's Handbook. During his first PCT thru-hike Jardine’s pack weighed just 25 pounds. By his third it was less than 9 pounds. “Ray’s Way” of thinking has led to several innovations that have benefitted both backpackers and hikers. The Outdoor Foundation is reporting that a record number of Americans participated in at least one outdoor activity in 2013, with nearly 50% of all Americans ages six and older taking part in at least one of the 43 outdoor activities, according to the latest Outdoor Recreation Participation Report. That percentage equates to 142.6 million American outdoor participants. Although the number of participants rose, the percentage of participants fell slightly from 49.4% in 2012 to 49.2% in 2013, due to population increase. Compared to 2012, participation in outdoor activities increased or remained flat among youth and young adults - signaling a positive trend in America's inactivity crisis. The participation rate among children ages six to 12 rose one percentage point to 64%. Participation among young adults ages 18 to 24 also rose one point to 58%, while hard-to-reach adolescents, ages 13 to 17, remained flat at 60%. * Participation in day hiking remained relatively flat again for the second year in a row. However, the latest figures don't reflect the strong growth in the outdoor pursuit in recent years. Compared to 2006 (the first year of the study), hiking is up 15.1%. Compared to 2010, participation in hiking has increased by 5.8%. * Though backpacking has seen an increase in the number of participants over each of the last 2 years, the average number of outings per backpacker has dropped off sharply. As a result, backpacking has dropped out of the top 5 favorite outdoor activities for adults (ages 25+), based on the frequency of activity. * Camping (within a 1/4 mile of a vehicle or home) continues to decline: down 11% when compared to 2011, and down almost 18% since 2006. * Participation in adventure racing and triathlons saw the largest increases over the past three years. Adventure racing increased by 28%, while off-road triathlons increased by 25% and road triathlons increased by 10%. The report is based on online and household surveys of more than 19,000 Americans ages six and older, and covers 43 different outdoor activities, making it the largest survey of its kind. To download a complete copy of the 2014 Outdoor Recreation Topline Participation Report, visit The Outdoor Foundation website. A new National Park Service (NPS) report shows that 12,877,369 visitors to the Blue Ridge Parkway in 2013 spent $782,926,000 in communities near the park. That spending supported 11,283 jobs in adjacent communities. "Over the years, the Blue Ridge Parkway has experienced fluctuations in visitation. 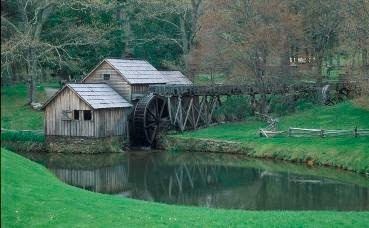 Regardless of these fluctuations, Parkway staff remain committed to the mission of the National Park Service and work every day with the same goal in mind – to protect and preserve the rich natural and cultural resources along the Parkway, and provide meaningful visitor experiences," said superintendent Mark Woods. "We also recognize the Parkway's presence in the region provides many opportunities for surrounding communities as well, and we are happy to have so many communities in our region reporting strong tourism spending over all." Tourism officials across the Parkway region in North Carolina and Virginia explain that the rise in popularity of outdoor recreation activities helps keep their tourism numbers robust. "Watauga County in western North Carolina's High Country saw a rise in occupancy tax revenue over last year," said Wright Tilley, Executive Director of Boone & Watauga County Tourism Development Authorities. "We know our visitors are looking for hiking experiences while in our area and the Parkway is the most popular starting point for hiking in our area." Virginia tourism officials share similar feedback. "Outdoor recreation experiences on and off the Parkway are the mainstay of tourism in the Roanoke Valley, offered . "The Parkway provides a perfect backdrop to a variety of experiences, including several new special events in our area that celebrate the outdoors and provide new and creative economic opportunities for our community." Parkway visitation to date for 2014 shows a five percent rise in visitation, and looking ahead to the fall tourism season, Parkway and local tourism officials are confident that the cooperative nature of the relationship between the park and adjacent communities will serve the region well. 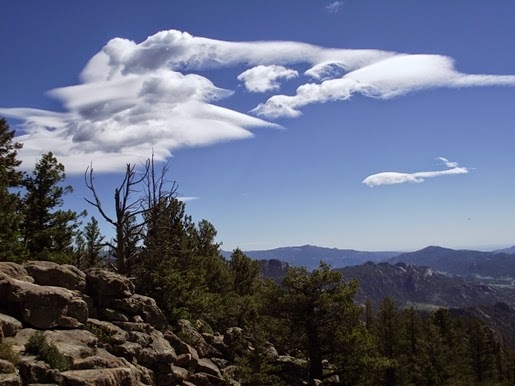 The National Park Service's peer-reviewed visitor spending analysis was conducted by U.S. Geological Survey economists Catherine Cullinane Thomas and Christopher Huber and Lynne Koontz for the National Park Service. The report shows $14.6 billion of direct spending by 273.6 million park visitors in communities within 60 miles of a national park. This spending supported more than 237,000 jobs nationally, with more than 197,000 jobs found in these gateway communities, and had a cumulative benefit to the U.S. economy of $26.5 billion. According to the 2013 economic analysis, most visitor spending was for lodging (30.3%) followed by food and beverages (27.3%), gas and oil (12.1%), admissions and fees (10.3%) and souvenirs and other expenses (10%). The largest jobs categories supported by visitor spending were restaurants and bars (50,000 jobs) and lodging (38,000 jobs). To download the report, please click here. The report includes information for visitor spending at individual parks and by state. Brazen? Or just brazenly stupid? 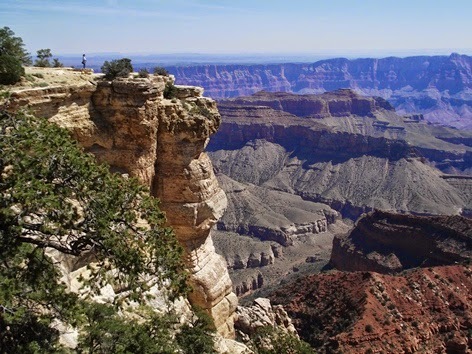 The NPS Morning Report is reporting that on October 19, 2013, rangers in the backcountry of Grand Canyon National Park became suspicious of the large number of hikers attempting to hike from the North Rim to the South Rim in a single day (known as a “Rim to Rim” hike). The hikers claimed to be hiking only with a small number of friends and not as part of a large group, but many appeared to be avoiding contact with rangers and they all described similar travel arrangements. Subsequent investigations revealed that Scott Beck of Phoenix, Arizona, had chartered five buses to transport nearly 300 people to Grand Canyon National Park to hike across the canyon. Beck advertised the hike as the “23rd Annual” trip of a similar nature and charged each participant a set fee. Investigations also revealed that he had specifically instructed each hiker, both verbally and in a written itinerary, to tell rangers that they were “not with a group of 300,” that they were with a small group and had been transported by car or van. The large number of hikers in the canyon that day caused impacts to vegetation and created long lines at the Phantom Ranch canteen and restroom facilities. The Phantom wastewater treatment operator reported that the sewage treatment plant was operating at capacity. Rangers took complaints from hikers who complained about congestion on the trails. Several minor medicals and search and rescue operations were also attributed to Beck’s group. During interviews, Beck claimed that his trip was “organized” but not commercial, and that he had not profited. In January 2013, rangers served a search warrant on an online event registration website that Beck had used to solicit trip participants and collect fees. The evidence gathered from the search warrant was used to develop probable cause to charge Beck with engaging in an illegal business operation (36 CFR 5.3) and making false statements (18 USC 1001(a)(2)). Rangers estimated that Beck’s gross income for this event was over $47,000, and he profited by approximately $9,500. On June 10th, Beck was convicted on one count of engaging in business operations without obtaining a permit in violation of 36 CFR 5.3. Pursuant to a plea agreement, he was sentenced to a year of probation, during which time he is banned from Grand Canyon National Park and from conducting or advertising for any tours or guided trips on national park or national forest lands. He was also fined $500 and ordered to serve 50 hours of community service. Beck has since formally notified all trip participants that he will no longer be conducting his annual trip, and has pledged to donate $2,000 to Grand Canyon National Park. The investigation was led by rangers and conducted with the assistance of Investigative Services Branch special agents. According to Friday's NPS Morning Report, on the evening of July 6th, Rangers Paul Forward and Chris Calkins and Supervisory Ranger Sean Perchalski were patrolling Diving Rock, one of the Chattahoochee River National Recreation Area’s busiest areas, when Forward spotted a man in the middle of the river who appeared to be in distress. The man went under several times as two other visitors struggled to keep him afloat. He then began to pull both of them underwater. Forward threw them a lifeguard rescue tube and a throw bag, but the people in the water couldn’t reach them. Perchalski then threw a life vest and a second throw bag, which they were able to grab and use to stay afloat. The rangers then pulled all three to shore. The 22-year-old man who’d originally gotten into trouble was checked out by EMS, but declined further treatment at a medical facility. The other two were extremely fatigued but otherwise okay. This area has been the scene of several drownings in the past few years by people who’ve tried unsuccessfully to swim across the river. The most recent was on June 9th, when a 24-year-old man drowned while swimming across the river at the same exact location. The river is approximately 175 feet across at this point. A new National Park Service (NPS) report shows that 9,354,695 visitors to Great Smoky Mountains National Park in 2013 spent $734,086,600 in communities near the park. That spending supported 10,734 jobs in the local area. The 2013 economic benefit figures are slightly lower than the 2012 results which reported that visitors spent $741 million in local communities. The 16-day government shutdown in October 2013 accounted for most of the decline in park visitation and spending. The authors also cited inflation adjustments for differences between visitation and visitor spending, jobs supported, and overall effect on the U.S. economy. 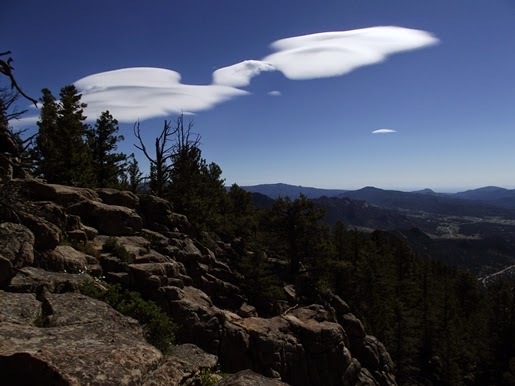 The peer-reviewed visitor spending analysis was conducted by U.S. Geological Survey economists Catherine Cullinane Thomas and Christopher Huber and Lynne Koontz for the National Park Service. The report shows $14.6 billion of direct spending by 273.6 million park visitors in communities within 60 miles of a national park. This spending supported more than 237,000 jobs nationally, with more than 197,000 jobs found in these gateway communities, and had a cumulative benefit to the U.S. economy of $26.5 billion. According to the 2013 economic analysis, nationally most visitor spending was for lodging (30.3%) followed by food and beverages (27.3%), gas and oil (12.1%), admissions and fees (10.3%) and souvenirs and other expenses (10%). The largest jobs categories supported by visitor spending were restaurants and bars (50,000 jobs) and lodging (38,000 jobs). Tennessee State Parks announced last week the newest addition to the parks system, Seven Islands State Birding Park. State and local officials attended the official opening of the 56th state park last Tuesday in Knoxville. Seven Islands State Birding Park offers activities including observation, hiking and a small boat launch for canoes and kayaks. The property is adjacent to the French Broad River and aquatic and riparian habitats support an impressive diversity of wildlife species. Over 160 species of birds have been identified. “I am excited to welcome Seven Islands State Birding Park to our Tennessee State Parks system,” Tennessee State Parks Deputy Commissioner Brock Hill said. “This park is a great addition and will offer wonderful viewing opportunities for birding enthusiasts and families alike. Prior to becoming a state park, Seven Islands was a wildlife refuge that was managed by the Seven Islands Foundation and Knox County Parks and Recreation. The county transferred the 360-acre property to the state and Tennessee State Parks began management of the site on July 1, 2014. For more information about Seven Islands State Birding Park, please click here. Great Smoky Mountains National Park is one of 23 national parks selected to receive a 2014 Impact Grant from the National Park Foundation, the official charity of America’s national parks. The $25,000 grant supports the restoration of wetland vegetation in a 3-acre wetland in the Ravensford floodplain near Cherokee Central Schools in NC. Now in its seventh year, the Impact Grants program provides national parks with the critical financial support they need to transform innovative, yet underfunded, ideas into successful in-park programs and initiatives. “Through our Impact Grants, we will help make a profound difference in our national parks by providing much-needed funding for projects that support habitat restoration, wildlife protection, and conservation research,” said Neil Mulholland, President and CEO of the National Park Foundation. Wetland habitats are uncommon in the park and provide critical habitat for diverse native plants and animals, some found nowhere else in the park. The unique Ravensford wetland has been severely impaired by invasive exotic plants reducing habitat for native species. Through this project, park staff along with youth volunteers, will remove invasive plants and collect native seed from remnant wetland vegetation that will be used to propagate native species for plantings. Restored wetland vegetation will help create a buffer along the edge of the wetland to better filter sediments and potential contaminants from nearby roads. The restored site will not only improve natural habitat and wetland function, but also provide educational opportunities for park visitors and students. The 2014 Impact Grants were made possible, in large part, through the support of Disney and Subaru of America. A listing of these parks and their Impact Grants project descriptions can be found on the National Park Foundation website. For more information on how Smokies biologists identify and map wetlands, please click here. For more information on the National Park Foundation and how to support and protect America’s national parks, please click here. 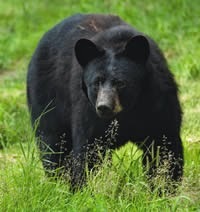 Great Smoky Mountains National Park officials have closed Twin Creeks Trail, Noah Bud Ogle Cabin, and the Noah Bud Ogle Nature Trail due to bear activity until further notice. Cherokee Orchard Road was closed earlier today, but is expected to open tomorrow morning. Two women encountered a bear near the Noah Bud Ogle Cabin at approximately 10:20 a.m. this morning while hiking on the nature trail. The women attempted to allow the bear space to pass by backing down the trail, but the bear persistently approached and followed one of the women for up to 0.5 mile. Loud noises and attempts from the woman to scare the bear using rocks and sticks did not deter the bear's advance. The bear followed the woman all the way to Cherokee Orchard Road where she found safety in a vehicle. "This is a very significant bear incident and we are closing the trail areas to ensure that we can assess trail safety before reopening the area," said Acting Superintendent Cindy MacLeod. "We advise all hikers in the park to be extremely cautious of bears, especially during this time of year when natural foods are scarce." According to Park Wildlife Biologist, Bill Stiver, bears throughout the park are underweight and stressed this year following a very harsh winter and a low acorn supply last autumn. Park officials urge everyone to exercise caution while hiking, camping, and picnicking to ensure their personal safety and protect bears. 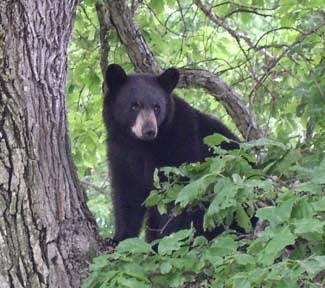 Black bears in the park are wild and unpredictable. Though rare, attacks on humans do occur, causing injuries or death. 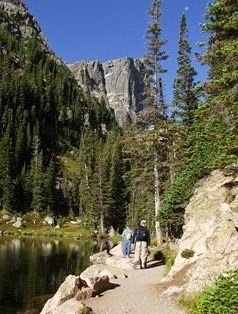 Hikers are encouraged to hike in groups of three or more, closely control children, and keep their hiking groups together. Bears should never be fed and all food waste should be properly disposed to discourage bears from approaching people. Feeding, touching, disturbing, and willfully approaching wildlife within 50 yards (150 feet), or any distance that disturbs or displaces wildlife, are illegal in the park. If approached by a bear, visitors should slowly back away to put distance between the animal and themselves creating space for the animal to pass. If followed by a bear, rangers recommend that you stand your ground and not run. Hikers should make themselves look large and throw rocks or sticks at the bear.If attacked by a black bear, rangers strongly recommend fighting back with any object available and remember that the bear may view you as prey. These closures follow yesterday's closing of Gregory Bald due to bear activity. For more information on what to do if you encounter a bear while hiking, please visit the park website. To report a bear incident, please call 865-436-1230. 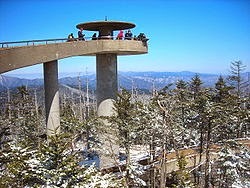 Great Smoky Mountains National Park officials have temporarily closed Gregory Bald and nearby trails including Gregory Bald Trail and Wolf Ridge Trail from Parson Bald to Gregory Bald. The closure is necessary to both protect bears and hikers. At least a dozen bears are concentrated on Gregory Bald feeding on ripe cherries. The situation has led to several close encounters between hikers and bears creating an unacceptable safety risk. Wildlife biologists will be monitoring the area and expect the bears to disperse when the food source has been depleted. For more information on what to do if you encounter a bear while hiking, please visit the park's Bear page. Great Smoky Mountains National Park officials are proposing changes that will help protect park forests by further limiting the type of firewood brought into the park. Non-native, tree-killing insects and diseases can unknowingly be introduced into the park through firewood transported from infested areas. New infestations threaten our forests with widespread tree mortality that could devastate wildlife habitat, park biodiversity, and scenic views. The park is proposing to reduce this threat by changing park regulations to allow only heat-treated wood to be brought into the park for campground fires. If the proposal is adopted, beginning in March 2015, it would ban the importation of firewood that is not bundled and certified by the USDA or a state agency. Heat-treated wood will be available to purchase from concessioners in many of the campgrounds as well as from private businesses in the communities around the park. In addition, visitors may still collect dead and down wood in the park for campfires. A variety of destructive pests lay eggs or stowaway in firewood. These insects from Asia and Europe have the potential to devastate over 30 species of hardwood trees native to the park. Movement of firewood has been implicated in the spread of gypsy moth, Dutch elm disease, emerald ash borer, thousand canker disease, Asian longhorned beetle, Sirex woodwasp, golden spotted oak borer, and other native and non-native insect and disease complexes. Numerous stakeholders representing federal and state agencies, conservation organizations, and universities are joining together to develop a national strategy to mitigate the risks associated with movement of firewood, including a public education campaign. 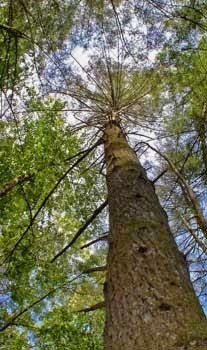 National parks throughout the Appalachian region have taken action to limit the spread of insect pests in firewood including, in many cases, the banning of imported firewood. For the past three years, the Smokies has prohibited the importation of firewood from areas quarantined by the USDA Animal Plant Health Inspection Service (APHIS). Current park regulations prohibit the importation of wood and wood products from states (or specific counties in states) quarantined for insects such as emerald ashborer or tree diseases such as thousand canker disease. Although the new proposed regulation prohibiting the importation of non-certified wood would not take effect until 2015, the park is asking visitors to make the switch to safe firewood now. Heat-treated wood is available from an increasing number of businesses outside the park and staff are working with concessioners within the park to use low-risk wood sources until they are able to make the transition. A final decision on adopting the new regulation is expected by the end of the year. The public may submit comments by: mail at 107 Park Headquarters Road, Gatlinburg, TN 37738; by e-mail; or comment cards available at visitor centers and campgrounds.